Antique Persian Afshar Bird Rug – what was she thinking? what was she thinking when she planned in so many birds? what birds are these with two heads? Siamese twins? why do they have stripes? how did she work on her creation – so much chaos within order? as far as we know, there is no paper drawing to lead her weaving … every motif is created out of pure imagination, one line at a time…. how high her spatial intelligence must be in order to create such a wonderful work of art! If only I could sit at her feet and watch her and maybe converse with her and let her know how much I admire her! if only we could traverse a hundred years with a simple wish! 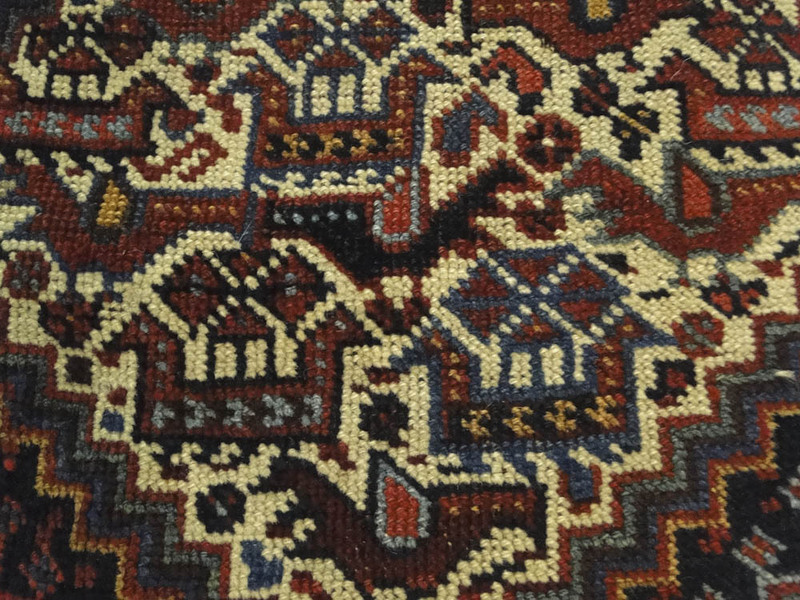 For, this rug was made about a hundred years ago. by a tribal woman in Persia under living conditions that were harsh. 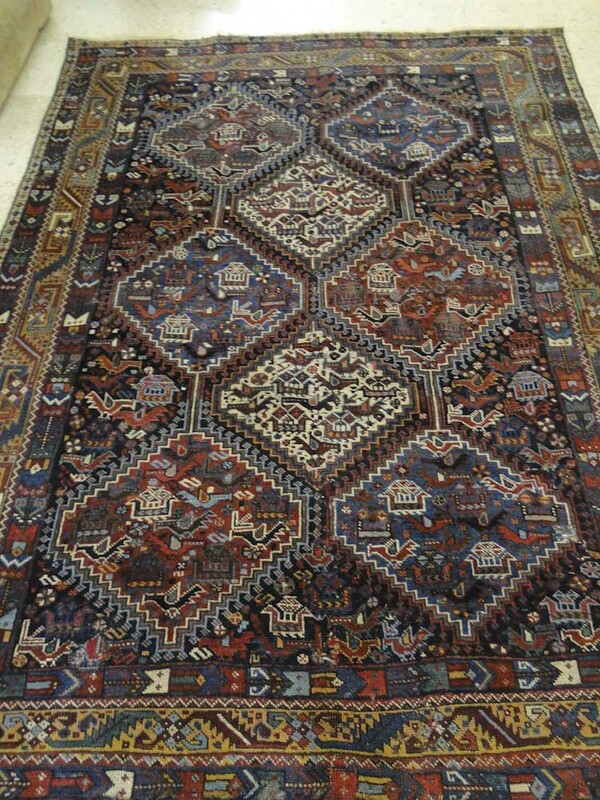 More images of this Afshar rug are available in the WOVENSOULS gallery here. Keep up the very good works guys I’ve included you guys to my personal blogroll. Spot on with this write-up! 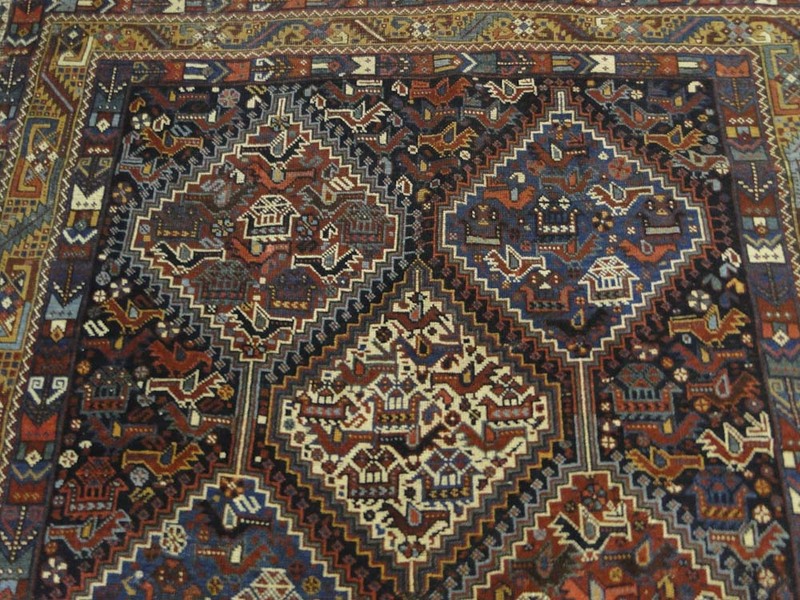 This entry was posted on July 23, 2013 by wovensouls in Art Kaleidoscope and tagged Afshar bird rug, Afshar rug, antique Persian rug, antique rug, antique tribal rug, antiques, Carpets and Rugs, cloth, fabric, Floors, folk art, Home and Garden, Iran, Persia, Persian carpet, Shopping, textile, textile art, Tribal art, tribal rug, vintage fabric, wool.